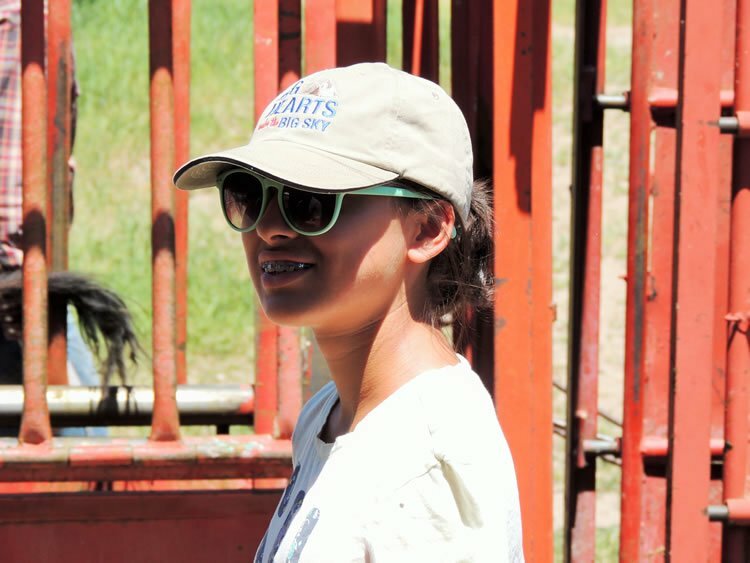 Casey is 14 years old and is anxiously looking forward to her sophomore year of high school. 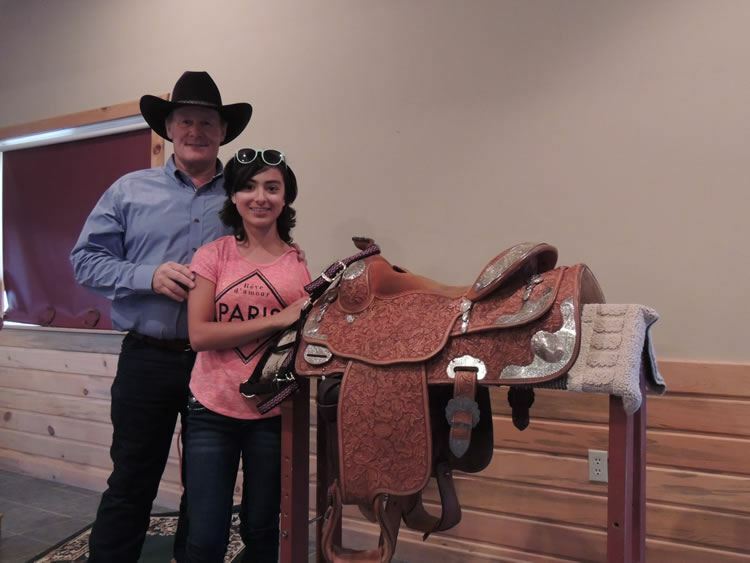 As a small girl Casey developed a lump on her arm that by age 13 had developed into a sarcoma and eventually required the loss of her arm followed by several months of chemotherapy. 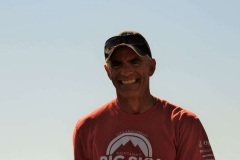 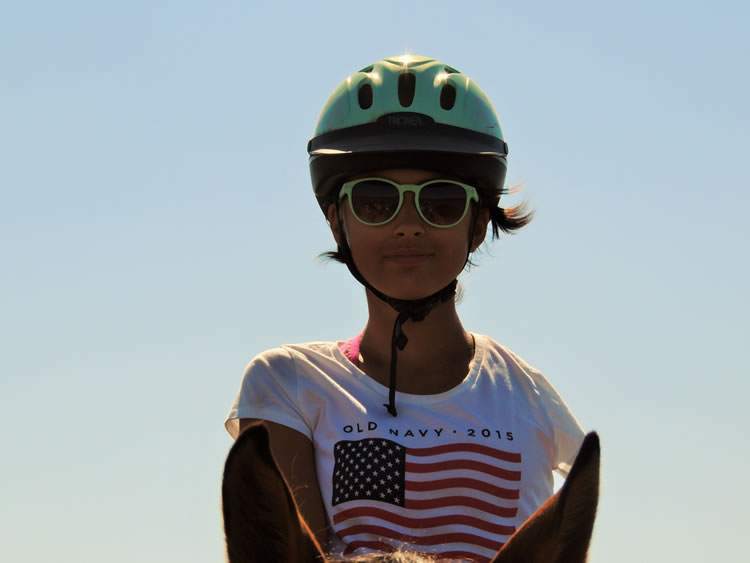 Throughout the ordeal, Casey demonstrated remarkable courage, strength and positivity. 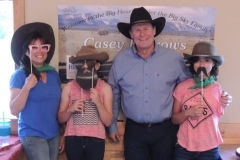 Casey has worked very hard, continues get good grades in school, and has distinguished herself by encouraging other young patients throughout her recovery. 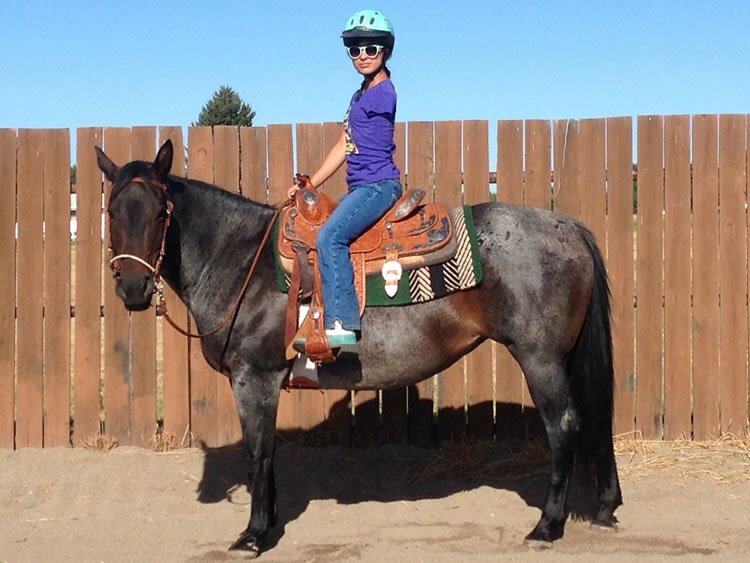 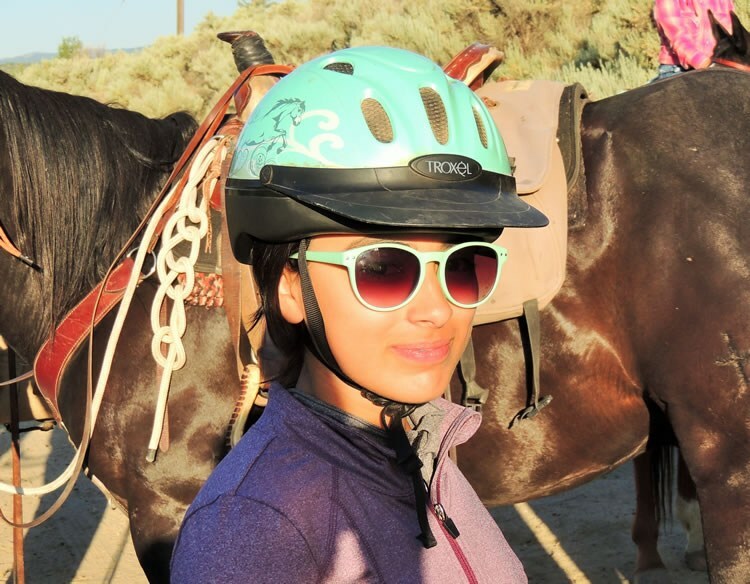 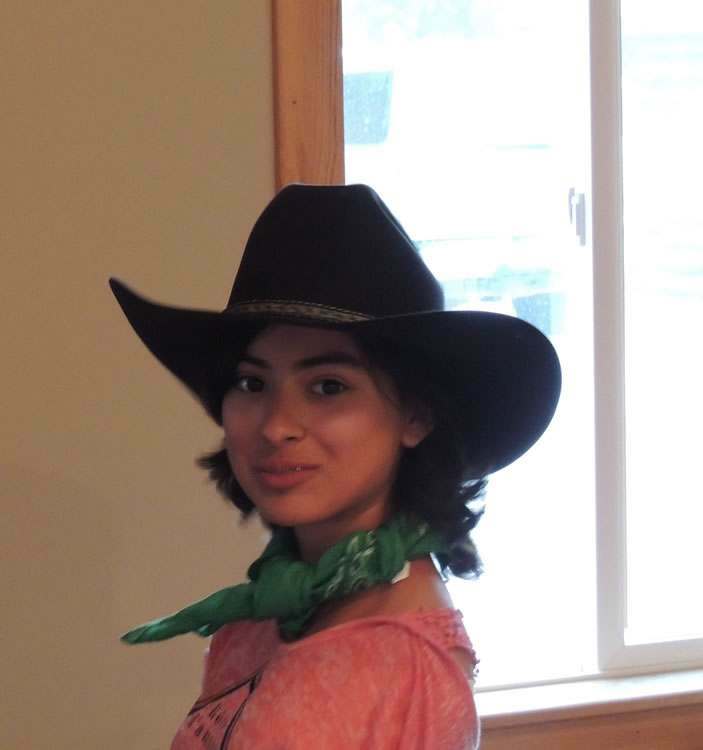 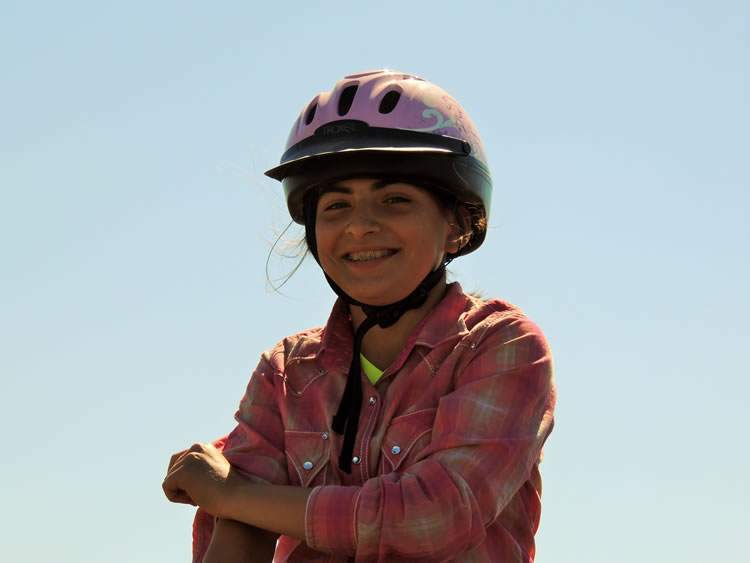 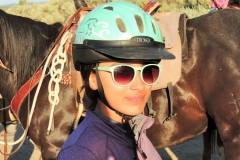 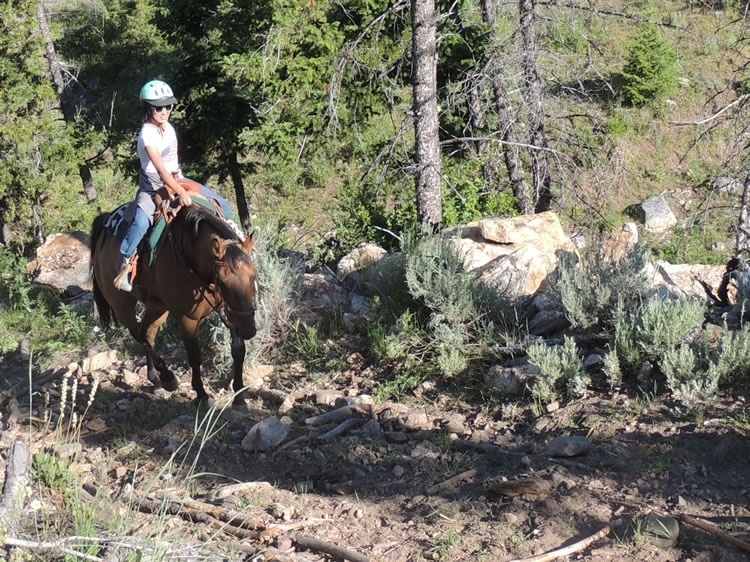 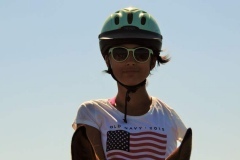 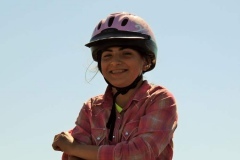 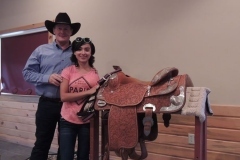 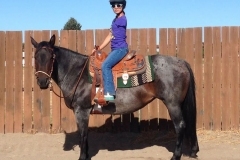 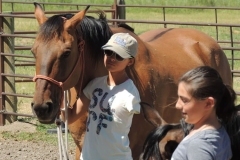 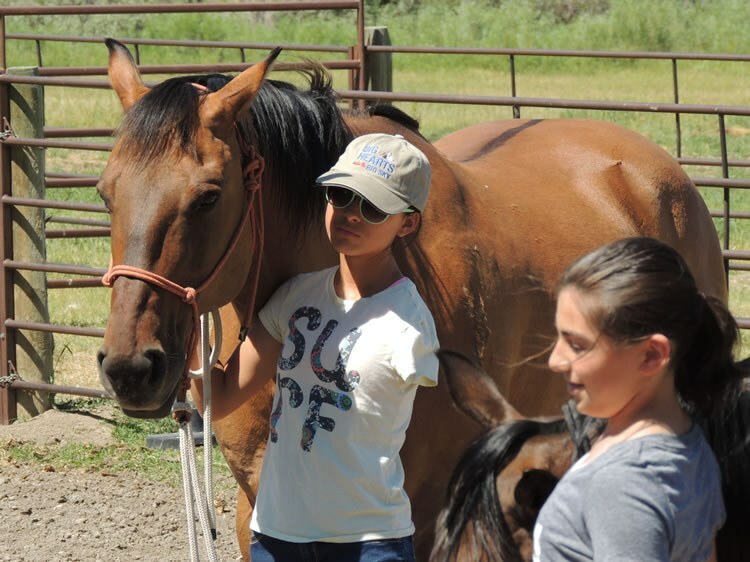 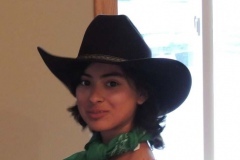 Casey has always loved horses and riding, but with her recent health problems opportunities to engage in riding activities have been fairly limited. 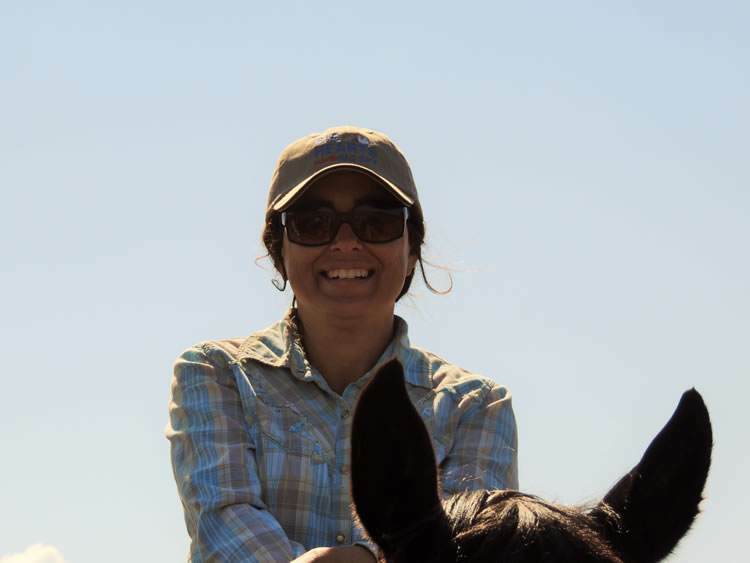 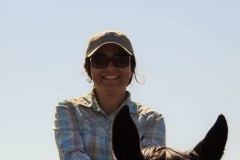 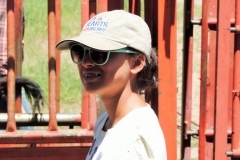 Having not been able to ride much since she was diagnosed with cancer, she expressed an interest in doing some cow punching on a real working ranch. 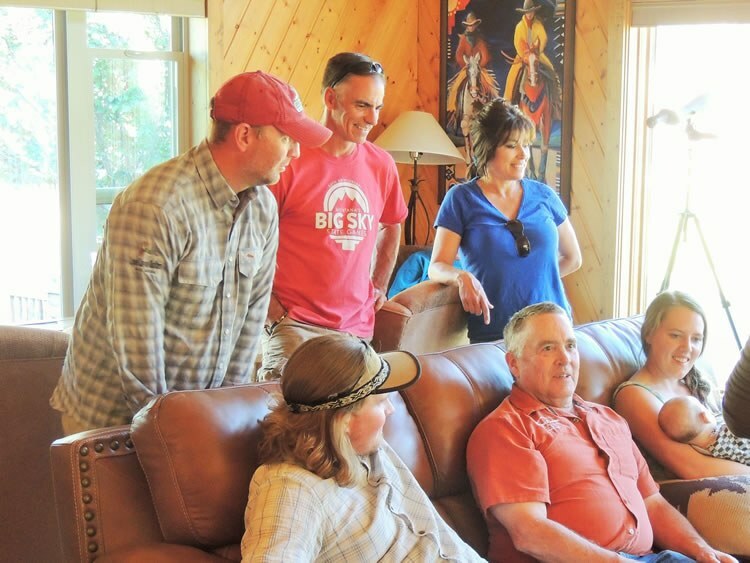 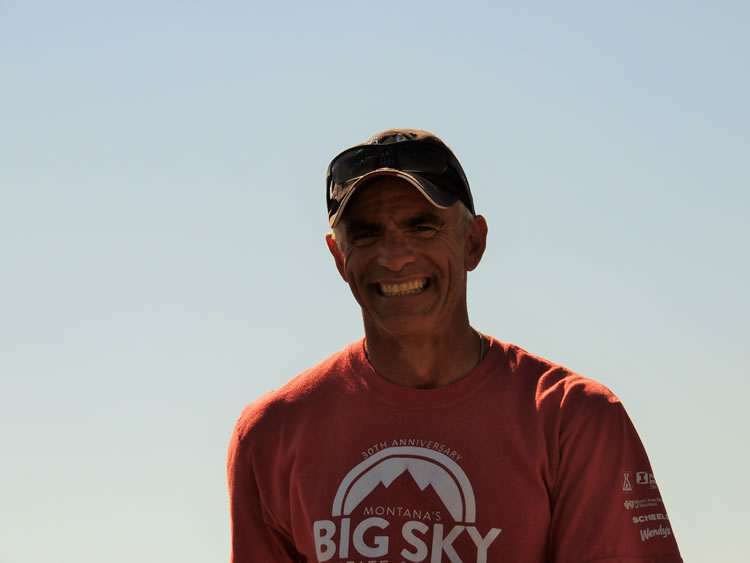 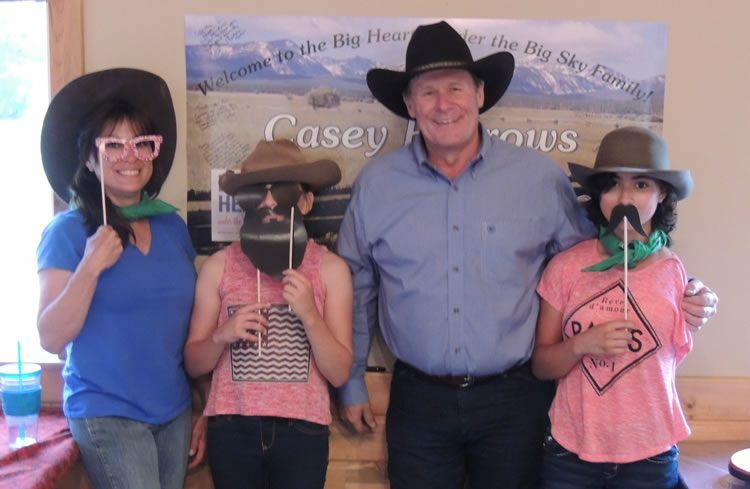 Big Hearts Under the Big Sky was pleased to partner with Upper Canyon Outfitters of Alder to provide Casey, along with her mother (Bunny), father (Travis) and sister (Candace), with the Montana outdoor adventure of Casey’s dreams. 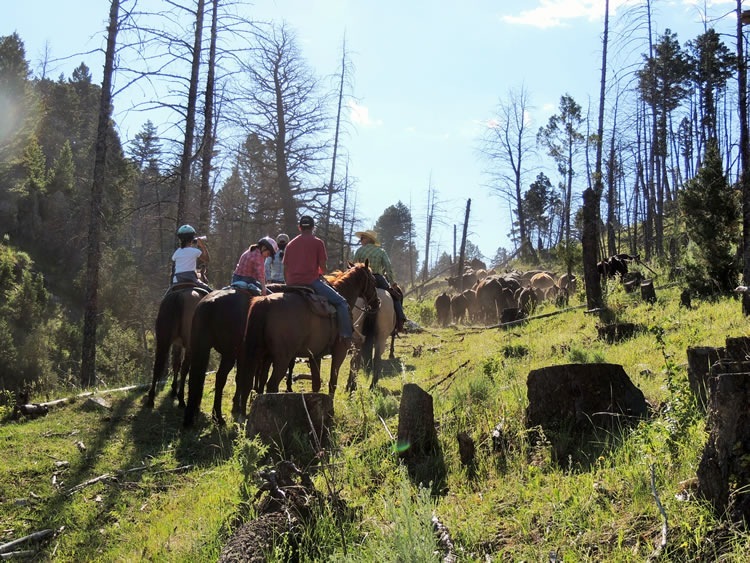 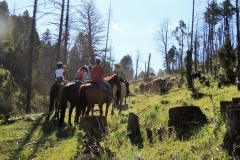 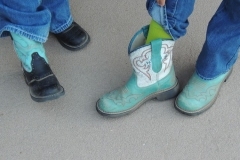 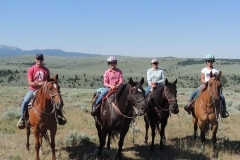 Hosted by MOGA members, Jake and Donna McDonald, Casey and her family rode as cow pokes in two cattle drives. 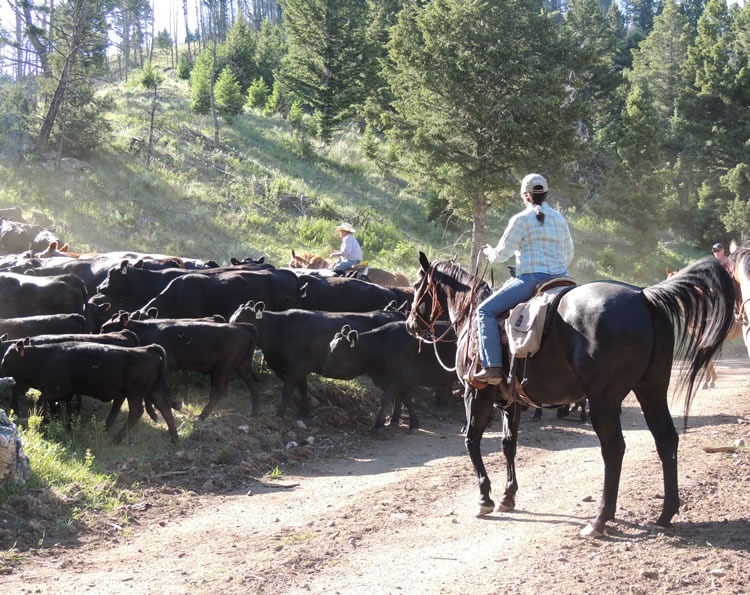 Adding onto the drives, Casey and her family participated in the hands-on branding, tissue sampling, and the vaccination of about 70 cows and calves, even helping to band the young bulls at a ranch in Ruby. 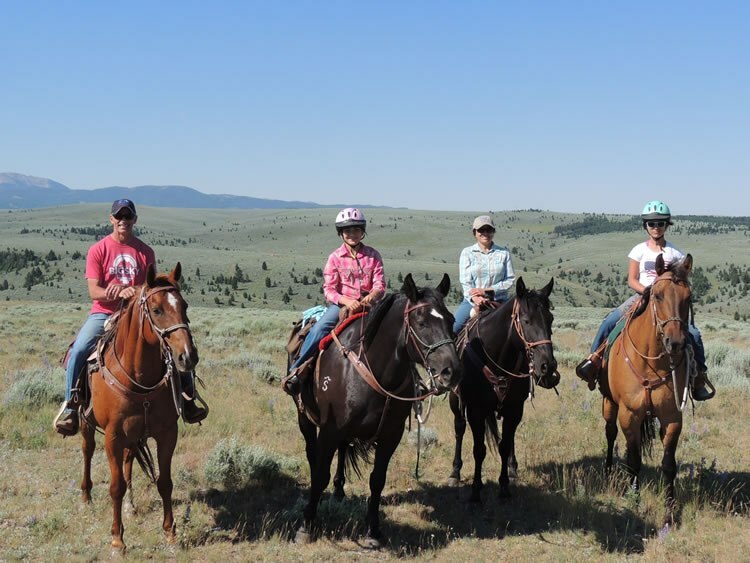 They also visited a buffalo ranch, paid a visit to the newly born rabbits, goats and fouls at a breeding ranch, and made a visit to Nevada City and Virginia City where they panned for gold, rode the short line, and enjoyed some delicious pizza and ice cream. 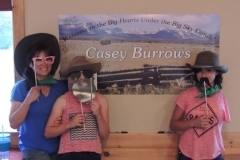 Throughout the trip, Casey demonstrated her grit, quick wit and charm and lived up to the expectations set by the Big Hearts partner, the Billings Clinic, when they originally nominated Casey for the trip. 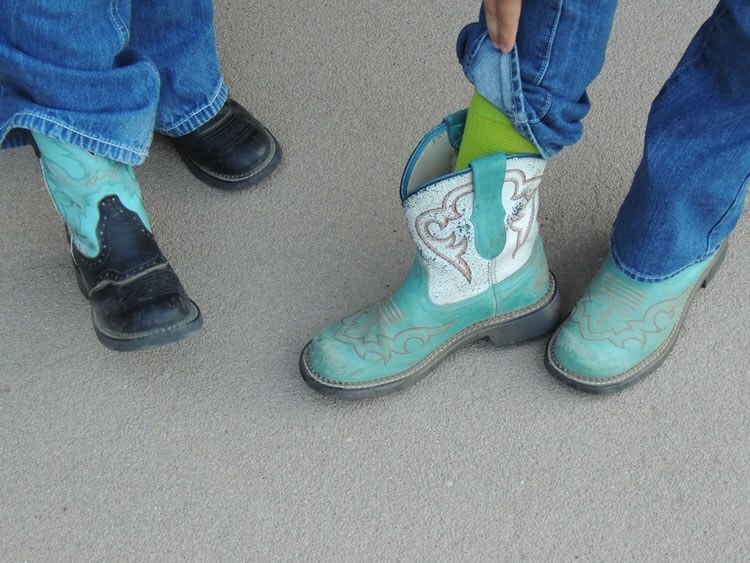 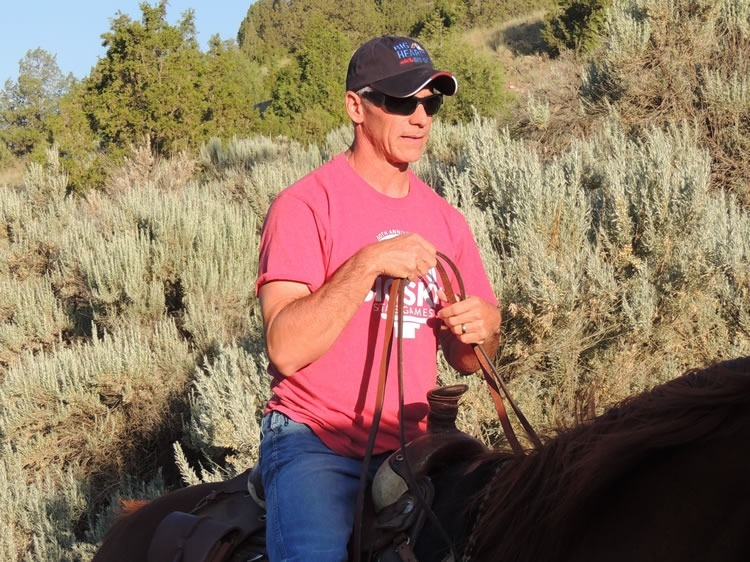 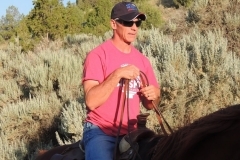 On the first night of the trip, Casey impressed Donna and her wranglers with her horsemanship skills and took every opportunity to learn new riding and exercising techniques. 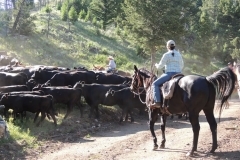 She was a quick-study too, learning to side-step her horse and guide him around obstacles, along with clipping the cattle’s ears and administering shots. 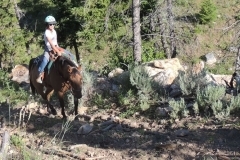 And her learning didn’t just take place on the ranches, Casey proved herself quite adept at learning card tricks from one of the other guests at Upper Canyon. 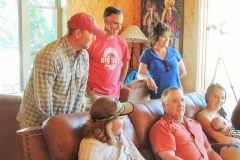 After dinner one night she demonstrated her slight-of-hand to all the other guests and the entire staff, who never did figure out how she did it. 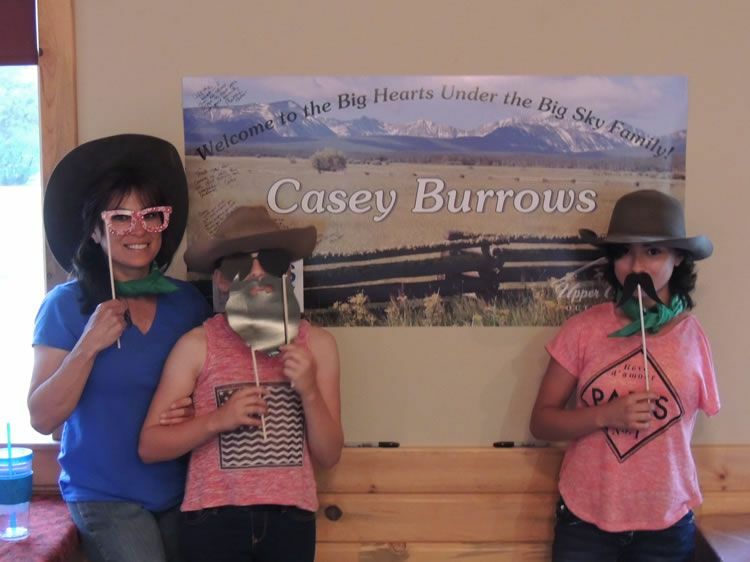 Perhaps, Casey’s magic extends beyond her charming personality.